Happy Thursday friends! Today I'm super pumped for another installment of the Student Loan Conqueror Series. Student Loan Conquerors is an interview series. I talk with some awesome people tackling their student loan debt head on. Finding out how they are doing it and what inspired them to start in the first place. Today I'm excited to have Liz (great name BTW) from Kitchen Table Finances sharing how she is working to pay off $64k of student loan debt. Liz is a personal finance blogger, with a goal to LIVE debt-free, and pursue her passions of writing & photography. 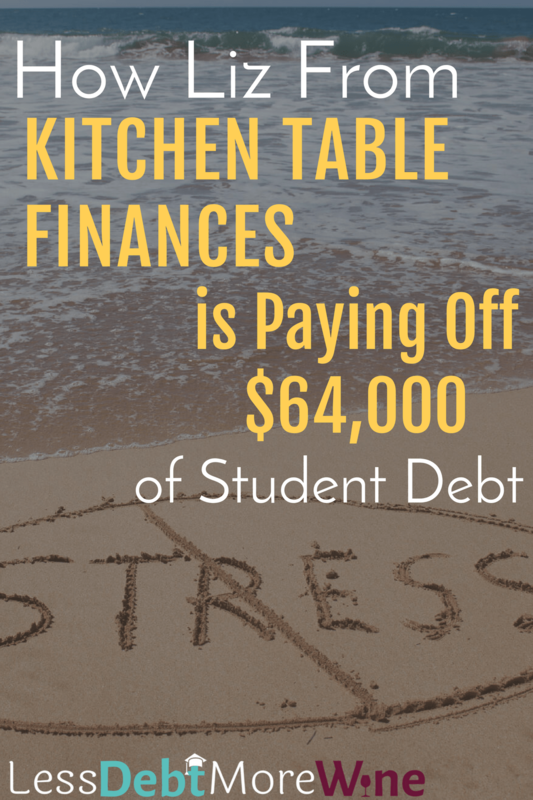 You can read more about her story on her website Kitchen Table Finances. I graduated from a public university in 2007 with a degree in Early Childhood Development and Education. A few years ago, I thought I might go back to get a Master’s Degree and have taken half of the classes needed to complete the degree. Due to a lot of reasons, I decided to take a break the Master’s degree. My maximum amount of student loans I’ve owed was $64,824. Currently, I owe $36,324. I started focusing on my student loans at the end of 2016. I know it seems late to finally focus on student loans nine years after I graduated. However, I had been working for an international non-profit. I didn’t have a high income at this organization and managed the minimal payments I owed. I made the decision to quit my job in September 2016 and change my story from being overworked, stressed, and scrapping by. I'd realized that the change wasn’t going to come from a rising opportunity that found me or I happened to stumble upon, but I had to go find the opportunities out there. The first action I took that made a HUGE difference in my finances was that I got real with my numbers. It’s hard to be honest with yourself and analyze your debts, your habits and change what you do. But, until I honestly looked at where I was at, I was never able to make progress on my goals and debt repayment. If you don’t know where you’re at, you’ll never get where you’re going. I got real with myself, and it was uncomfortable. I had lots of “why” questions as I wondered why I did this or that over the previous years. What Are Your Long And Short Term Plans To Pay Off Your Debt? My long-term goal is to ultimately pay off my student loans. My long-term plan is a slow and steady approach, involving restructuring my habits, spending and debt repayment. 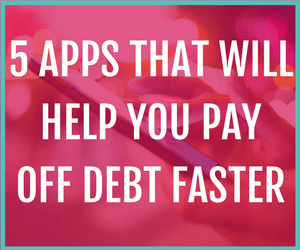 As I work on myself and spending behaviors, I have budgeted and automated my loan payments. I know every month a certain amount of funds will be withdrawn from my checking account and applied toward my student loans. My short-term debt repayment plan is more aggressive. I am working on bringing in additional income through side hustles, passive income streams from blogging, and applying extra payments toward my debts every chance I get. This past year, I was more aggressive with paying off my credit card debts due to the higher interest rate. 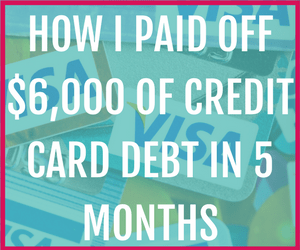 I paid off $14,000 of credit cards in 2017. My primary focus is now shifted toward student loans and being as aggressive with them as I was with paying off my credit card debt. I have looked at refinancing/consolidating a few times, but I haven’t moved forward with either. Right now, I am looking at buying a house within the next six months and, aside from aggressive debt repayment, I haven’t made a lot of changes to my financial structure. I know the conversation of buying a home while still paying off student loans is a big conversation right now for a lot of people. It’s a funny piece of advice, but was relevant to my life. I was overly stressed at my non-profit job. I carried a lot of responsibility with minimal resources and inadequate compensation for my work. It was not unusual for my eye to twitch for months, for me to struggle with insomnia and constant fatigue. The stress worn on my body. I remember the first time I heard how stress leads to higher levels of spending. It made sense in my head, but it wasn’t until I quit my stressful job that a bunch of unnecessary expenses disappeared. I didn’t realize how the undercurrent of stress was affecting my finances and financial habits. Breathe. We often beat ourselves up for not paying things off faster, for accumulating debt for degrees we hardly use and not sticking with our budgets. Create a plan for your money and for paying off your student loans, and when you get off track, make a course correction. Don’t throw in the towel, give up, or let bad habits take over. If I could do it all over again, I would do it different. I would have given myself a year or two to work and try different things to find what I love to do. I put four-years toward something I wasn’t passionate about or really interested in. Looking back, it’s seems crazy. Personally, I don’t think college is the end-all-be-all. Education isn’t bound by four walls and defined by a piece of paper. There are a lot of resources, tools, information and skills people can learn, develop and acquire in the world. Some of the most business savvy and successful people I know never took a college class in their life. I don’t use the “skills” I acquired in college hardly at all, but I do use the skills I’ve learned on-the-job or in my own entrepreneurial pursuits almost daily. It seems backwards, but, maybe that’s the key, to do what everyone else isn’t doing. Do things differently, do things backwards. No, I’m not utilizing my undergraduate degree in any way. I never have. I had started out my undergraduate degree in pre-medicine and then detoured. My degree in Early Childhood Development and Education was never an industry I really wanted to get into, but was an easy option for finishing a college degree. The master’s degree I started pursuing was in human service counseling with an emphasis on life coaching/financial coaching. Those classes had a lot more sustains and application for me. The normal thing would to be to get comfortable with having debt, whether it’s student loans, credit cards, car loans or something else. Don’t be normal. Break the status quo. Living intentionally debt-free gives you freedom. Most people think it’s crazy to spend 2-5 years getting out of debt (and building a business) toward financial freedom and a better lifestyle, but they don’t think it’s crazy to spend 40 years working a job where they stay broke. Get real with your values, goals and aspirations, then do something. I am just starting my journey at Kitchen Table Finances as I share ways I am paying off debts, building income and changing my financial habits. Please feel free to pull up a chair at my kitchen table, drink some hot coffee and join the conversation with me. The End. Thank You Liz from Kitchen Table Finances! Thank you Liz! I appreciate you taking the time to participate in the Student Loan Conqueror Series and good luck with repaying your debt!